There she is! The most amazing woman I know! A fierce competitor who works incredibly hard at everything she does. A compassionate and caring individual who’s generous and loving spirit is unmatched. AND the BEST mom and Yai Yai a Family could ever ask for 💖 No one can make you feel as special as my mom can, nobody 🤗 love you mom!! This is perfect. She sure does make me feel special!! Patty representing for her 7am crew! Every morning Patty takes care of the coaches with a hot chocolate from her office during the 6am and is ready to throw down at 7am. She’s a great spokesperson for health, fitness, and longevity through CrosSFit. She’s also been spoiling me rotten for years and I love her dearly. Sweet Mrs. Patty! She’s kind, strong, and beautiful! Triple threat! Certainly one of my role models! It doesn’t get much more inspiring than this!!! You are so awesome! Way to go Patty! Patty, you’re amazing! I hope to catch you on the leader board one day. Thanks for the coaching and push, Nathaniel! When I’m doing a wod. There is no voice that will escalate to the top like Mrs. Miller. No matter how much pain and discomfort I’m in. Her voice always will push me to the finish line. Have a wonderful day Mrs. Miller. Patty is an one amazing woman! Can’t say enough good things about sweet Patty! She truly is one of a kind. She also happens to be a heck of a CrossFitter who is always ready to throwdown and work hard. Thank you for all you do!! Patty is absolutely without a doubt the loveliest lady at CrossFit Huntsville! Maybe I’m biased! Did singles squat clean thrusters because my knees hurt so bad today! Not sure if it was worth it! Super fun WOD! There aren’t enough nice things to say about Patty! She is the most generous, considerate, caring person I’ve ever known. She loves my family like her own and I will forever be grateful for that! Thank you for everything you do and the kind of person you are sweet Patty! We all love you! Patty, you are so admired, loved and respected by all! 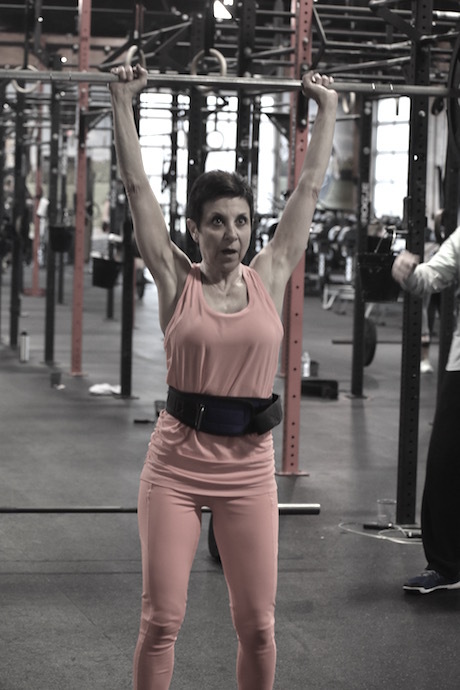 You’re the Grand Dame of Crossfit! !